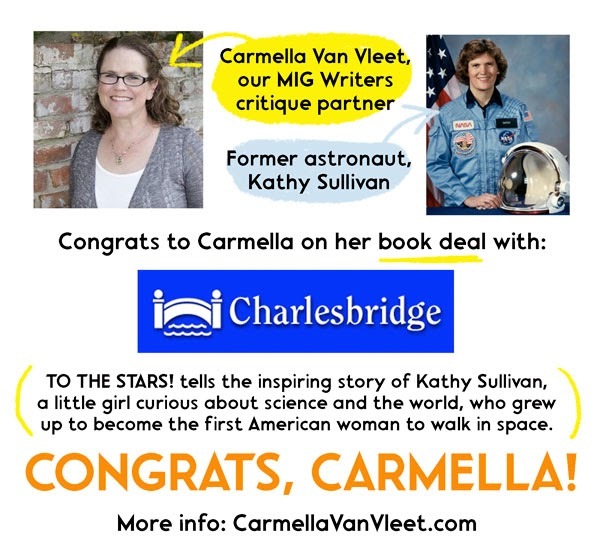 Carmella Van Vleet and astronaut Kathy Sullivan's TO THE STARS!, the inspiring story of Kathy Sullivan, a little girl curious about science and the world who grew up to become the first American woman to walk in space, to Karen Boss at Charlesbridge, by Marie Lamba at the Jennifer DeChiara Literary Agency (World). 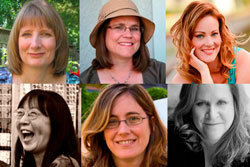 Congrats from MiG Writers to both Carmella and her agent, Marie Lamba of Jennifer DeChiara Literary. YAY! That is so exciting. Congratulations, Carmella!